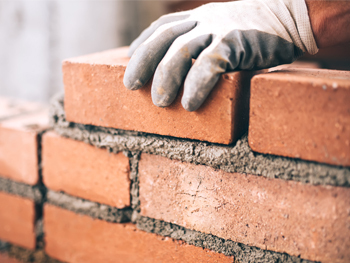 Academics and industry professionals are calling on the government to fund 200,000 new locally built houses in the West Midlands, which they say would provide a £70 billion boost to the regional economy by 2030. A new paper published by academics at Birmingham City University in collaboration with the Building Alliance states that building 215,000 ‘vital’ homes over the next 12 years would generate £67.94 billion in the region. The document, which will be unveiled at the Conservative Party Conference at Birmingham’s International Convention Centre, calls on government officials to invest in much-needed housing and details the wider improvements gained from each home built. It also calls on officials to make use of the skills, resources and organisations in the West Midlands, by using local businesses to build instead of outsourcing to ensure that the region reaps the maximum benefits. The funding would allow £2.84 to be gained for every £1 invested, support local industry, cure social issues and continue the skilled development of workers. The paper outlines that not taking advantage of the possibilities created by this would represent an ‘unacceptable political failure’ and would ‘seriously let down everyone in the region’. The research has been carried out Dr Steve McCabe, Institute of Design and Economic Acceleration at Birmingham City University and Mike Leonard of the Building Alliance and Visiting Professor at the University. Dr Steve McCabe said: “The economic wisdom of what is proposed is utterly irresistible. We need the homes. “We have youth unemployment in parts of the region of over 30 per cent. Our leaders should commit to using a localised approach to solving the problem of the housing crisis in the region. This is essential for the long-term development of the West Midlands as an attractive place to do business and live. Mike Leonard said: “We have a unique opportunity to capture inclusive economic growth through this initiative that will provide phenomenal benefit in the short-to-medium-term as well as underpinning the long-term future prosperity in the region. “Using local materials and investing in developing skills among the young people in the area will provide the West Midlands with homes that are urgently needed for the next generation as well as ensuring that there is a skills base in local construction to take the region forward." The paper will be shared with MPs and government officials during the conference in a bid to garner the support which is seen as vital in boosting the region’s economy, solving the housing crisis and leaving long-lasting skills in the West Midlands.